Can a for-profit corporation have religion? Can its religious feelings be hurt? If some of its employees take a pill to prevent pregnancy, does that violate the corporation’s rights? That’s what’s at issue in two cases the Supreme Court recently agreed to hear, Sebelius v. Hobby Lobby Stores and Conestoga Wood Specialties v. Sebelius. Hobby Lobby is a giant hobby and craft supplies chain store with 578 stores and about 21,000 employees across the country. It brings in about $3 billion in revenue annually. 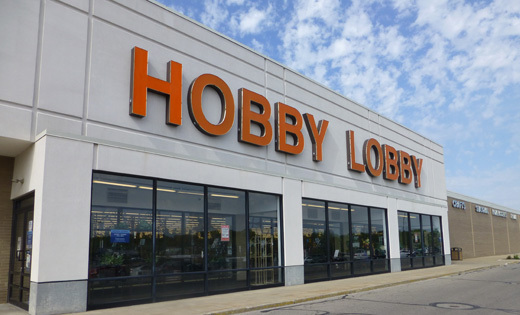 Hobby Lobby was ranked 147 in Forbes’ list of America’s largest private corporations last year. Its owner, David Green, was ranked 90 in Forbes’ list of the 400 richest people in America. Green makes a point of publicizing his strong Christian beliefs, and the chain makes much of the fact that it is closed on Sundays and pays above minimum wage because of its owner’s religious beliefs. Conestoga Wood Specialties Corp., a cabinet-making business, has 1,000 employees in Pennsylvania, North Carolina and Washington State. Its owners, Norman Hahn and his family, are Mennonites. Unlike Hobby Lobby, Conestoga’s owners do not broadcast their religious views on their website. 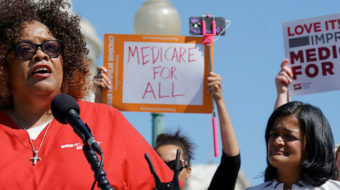 But both corporations have challenged the Affordable Care Act’s requirement that employers of more than 50 employees provide their workers with health insurance that covers basic preventative care including equal, free access to contraception. The Obama administration added an exemption for churches and nonprofit religious organizations. That did not apply to for-profit, secular corporations like Hobby Lobby or Conestoga. Hobby Lobby and Conestoga currently cover contraceptives in their employee health plans, but Green and Hahn do not want to cover certain types of birth control – specifically “Plan B” and similar “morning after” pills that, they claim, prevent a fertilized egg from being implanted in the womb and developing into a fetus. The owners consider this a type of abortion, which they oppose on religious grounds. But they are wrong about these drugs, according to prominent medical experts. These experts have filed a “friend of the court” brief showing that such pills simply prevent fertilization of an egg in the first place – in other words, they just prevent conception, like other birth control methods. They do not cause any sort of abortion. 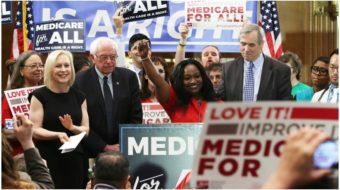 Consider that obstructing and overturning “Obamacare,” as the 2010 law has become known, has been a top campaign of the Republican Party and especially its tea party wing from the get-go. It was front and center in the Republicans’ recent shutdown of the federal government. In 2012, the Supreme Court upheld a core part of the Affordable Care Act, the “mandate” that requires most Americans to obtain health insurance or pay a penalty. That ruling by the right-dominated court, led by right-winger Chief Justice John Roberts, was seen as a politically motivated effort by Roberts to salvage the court’s declining reputation as well as his own. But it infuriated opponents of the health reform law. These new challenges, seemingly limited in scope, are being trumpeted by right-wing sources as a crusade for religious freedom in the face of an oppressive secular government. It fits right in with the far-right campaign to discredit not only the Obama administration, but any attempt at regulation of corporate power in the public interest. Hobby Lobby is being represented by the Becket Fund for Religious Liberty. Among this fund’s board of directors are J. Kenneth Blackwell, the Republican former Ohio secretary of state denounced by Ohioans for obstructing and suppressing the vote in 2004; the president of the Catholic University of America; and figures connected with a range of right-wing think tanks like the Heritage Foundation, Stanford’s Hoover Institution, the Manhattan Institute and the Witherspoon Institute. 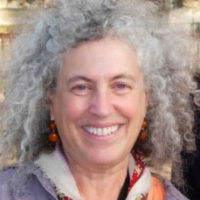 In the Supreme Court’s notorious 2010 Citizens United decision, the court ruled that corporations have the same right as people to freedom of speech and can therefore do unrestricted political spending. Now, the court will decide if corporations have the same right as people to free exercise of religion, including the right to be exempt from regulations like a church or other religious institution. Lower courts have taken opposite stances on the hot question. The Supreme Court is expected to hear arguments on these cases in March 2014 and issue rulings in June.